This coffee will be fresh roasted for you. 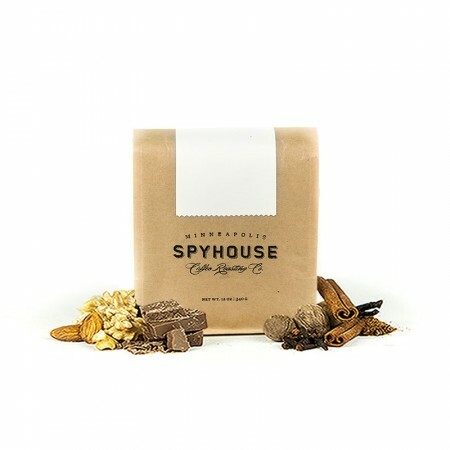 We expect Spyhouse Coffee Roasting Co will roast and ship this coffee in 1-2 business days depending on their roasting schedule. This is the Decaf Division brought to you by Spyhouse Coffee Roasting Co. This decaf coffee from the Chiapas region of Mexico was fully washed before being decaffeinated using the natural Mountain Water decaffeination method, as all of Spyhouse's decaf coffees are. Enjoy the smooth, rich cup with notes of chocolate, walnuts, and an apple pie like quality.